The disease of fatty liver is getting very common these days. In this problem the accumulation of fats and triglycerides occurs in the liver. Although, fats are found in the liver but if level will increase from 5 to 10 percent, can be called as fatty liver disease. Katuki (Picrorrhiza kurrao), bhringraj (Eclipta Alba), turmeric (Curcuma longa), dandelion (Taraxacum officinale), licorice (Glycyrrhiza glabra) and amla (Emblica officinalis). These herbs are used to treat problems related to liver. Glutathione is an enzyme which is produced by the liver in the presence of vitamin-c which is found in lemon. The enzyme glutathione is responsible in detoxification in liver. The juice of ½ lemon in a glass of water, taken for 2 or 3 times is recommended for the patient of fatty liver. Fatty liver patient can consume the apple cider vinegar because it removes fats which is accumulated in the liver and helps in weight loss. It helps in increase the liver functioning and reduction of liver inflammation. 1 tablespoon of unfiltered apple cider vinegar is added to a glass of warm water with the little honey. Before meals if taken 2 times daily for few months can be very beneficial in fatty liver disease. The catechins present in green tea improves liver functioning and fat infiltration in patients. It helps in blocking the fat stored in the liver and improves liver function. Also, if it is taken regularly, it will reduce the body weight. In a day the use of 3 to 4 cups of green tea is beneficial to fight against fatty liver disease. It also provides protection to the liver and maintain its health. Fatty liver disease is healed by Papaya fruit. In Ayurveda, this fruit pulp or seeds both are used for healing of fatty liver disease. Papaya is burn dietary fats which is most important factor of fatty liver disease. Few papaya seeds if crushed and will be taken with 1 tablespoon of fresh lemon juice, 2 times a day will reduce the fats in the liver. Ripe papaya with honey can also improve the liver functioning, if taken once daily. There should be addition of fibre rich components such as vegetables, fruits, whole grains and healthy fats, which will reduce risk of fatty liver. These are also responsible for improving liver functioning and heal fatty liver disease. The use of high fructose corn syrup can be dangerous for fatty liver patients. The use of whole grains, foods rich in omega-3 fatty acids (fish, fish oils and walnuts) and vegetables like (broccoli, kale and cabbage) can be beneficial for fatty liver. The oil used should be less while cooking and also avoid extra steaming of vegetables, it can lose the nutritional value. Introduce fruits like guava, apple and blueberries. Exercising is the best a fatty liver person can do to heal it. This is beneficial to treat many health problems, including fatty liver disease. It prevents, increase the metabolic rate and healthy liver functioning. The exercises if done for 30 minutes will be enough, to be fit. The start should be done with light exercises than gradual increase is recommended. The person should take demo or practice under the trained supervisor. The person can do jogging, yoga, brisk walk and aerobics to control fatty liver disease. Here are the top natural tips to treat fatty liver at home, which can be used to treat or control the problem of fatty liver at home. 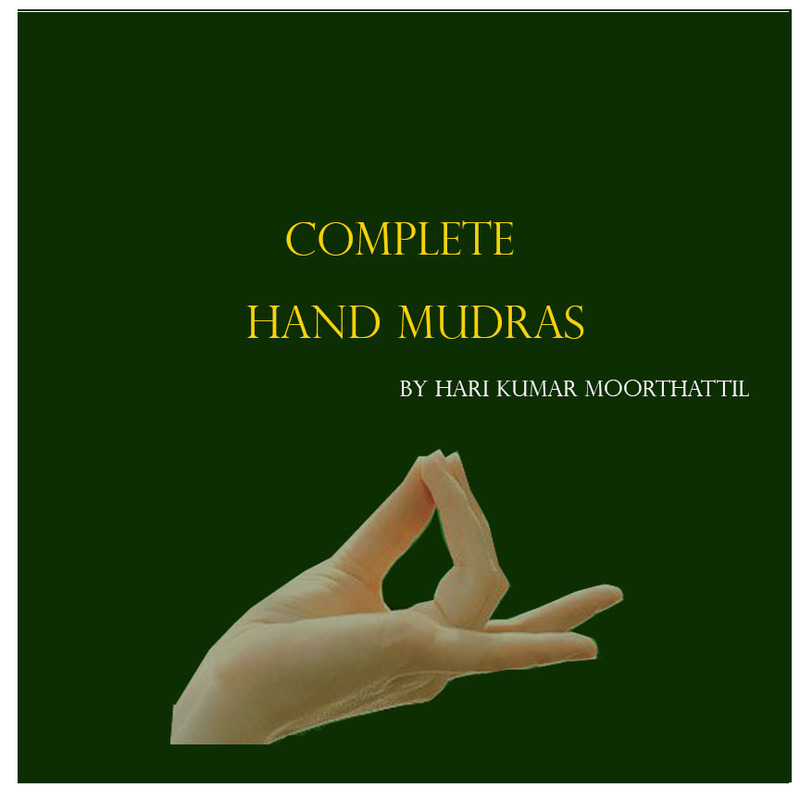 These home remedies are quiet simple and can be maintained regularly in the routine life. The liver is the largest gland in our body and one of the five major organs which are vital to life. It regulates the digestion,metabolism and many other physiological functions of the body. A malfunctioning of the liver may not become apparent immediately,unless, of course, the blood flow through it is impeded or the bile ducts are obstructed. Nor does it recover quickly once a disorder lodges itself in the organ. Damage of this organ may, therefore, lead to chronic gastritis, morning sickness and constipation. Apart from loss of appetite, the patient loss weight because of defective metabolism and he may suffer from diarrhoea and flatulence. There may be a little pain in the right upper portion of abdomen where the liver is located. Slowly, the size of the liver increases and because of the pressure on the muscular wall which separates the lungs and heart from the organs in the abdomen the patient feels difficulty in breathing and coughing .He may also suffer from nausea and vomiting. 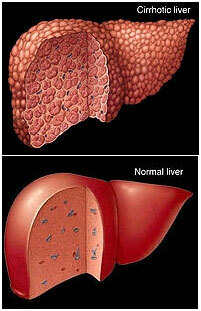 The liver tissue becomes fibrosed and it shrinks in size. Because of this shrinkage, the veinsous circulation gets obstructed, and there is an accumulation of water in the abdomen. This disease generally occurs because of a faulty diet among children; among adults it is generally the result of excessive intake of alcoholic drinks. The liver helps neutralise the toxic effects of substances ingested and if such substances are taken in excess, it may fail to meet the demands made on it . The first thing that should be done before medication is started in a case of cirrhosis of the liver is to ban all intoxicating substances like tea,coffee,tobacco and alcohol. According to Ayurveda Katuki (icrorrhiza kurroa) is the drug of choice for cirrhosis among adults. The root of the herb which grows at high altitudes is given in a powdered form. One teaspoonful of the powder mixed with an equal amount of honey is administered three times a day. in case of constipation, the dose should be increased to double and be given with a cup of warm water three to four times a day. It stimulates the liver to produce more bile, the excretion of which relieves congestion of the liver and the tissues which have become defunct start functioning again. A standard Ayurvedic medicine, Aarogyavardhini, a compound of Kutuki and clax of copper, it can be administered with advantage in cirrhosis of the liver. It has the property of reviving the cells which have become atrophied. A 250 mg. tablet of this medicine is available on the market and two of four tables amy be given thrice in the day with a cup of warm water. The best remedy for this condition of the liver is Bhringaraja(eclipta alba) a small herb which grows in marshy lands. The juice of the leaves, flowers, stems and roots of the plants is administered in doses of one teaspoonful thrice daily in the case of infantile cirrhosis. The The Juice should be mixed with honey. Drugs prescribed for jaundice or hepatitis are also helpful in case of cirrhosis of the liver. The diet is more important than any medication in cases of diseases of the liver. All fatty substances and foods hard to digest should be avoided. Skimmed milk or goat’s milk,butter milk,juice of sugar cane, instead of curds, and garlic should be prescribed. In case there is an accumulation of fluids in the region of the abdomen a salt-free-diet should be given to the patient. Constipation should not be allowed to develop at any cost even if it needs a daily purgative or an enema. If the patient feels uneasiness without intake of salt, he may be permitted to use a little rock salt. Vegetables which are bitter in taste like bitter gourd should be given to the patient. Garlic is also very useful. In addition, the patient should be advised to take complete rest. He should not sleep during the day and should not ride a vehicle which might jerk the whole body or take any violent exercise. The only exertion permitted is walking over a flat,even ground to avoid shaking the body. 7 – Days Diet Plan You have to follow it to get an optimum result within a week. a. Upon Arising (6 am): Soak overnight two dry Figs (Anjeer) in 1 small cup water. Take this soaked water and soaked figs the very first thing in the morning. b. Breakfast (7 am): An apple, grape or orange and two almond or barley kheer. e. Before ½ hr of lunch (11:30 am) : Chew a piece of ginger before an hour of meal , found helpful in digestion. 2. Soup or boiled veg( 12: 15pm): 1 bowl of decoction of seam vegetable (wal papdy ) beneficial where albumin contain is very high. One should take only the skin of vegetable not there seeds. Or chauli (amaranth ) leave soup or barely soup or carrot soup or mix. Veg. soup or lauki soup . 3. Grain Food ( 12:30 ): 1 or 2 jawari chappati without ghee . 4. Sit quietly for 5 minutes after eating. 6. Pineaaple juice(1:45Pm ): stimulate the activity of kidneys and help to remove the toxic elements and waste produce from the body. 7. After ½ hr (3:00pm): soaked few methi seeds early morning and take this soaked seeds with luke warm water after half an hour of meal. g. Early Evening (4pm): A glass of beet and carrot juice mixed 50: 50 basis. Add half glass of boiled water, shake well and drink slowly sip by sip .Do not add salt and spices. Drink as early as you extract the juice. h. Before ½ hr of Dinner (05: 30 pm): Chew a piece of ginger before an hour of meal, found helpful in digestion. 1. Salads (6:00pm): same as lunch. Soup or boiled veg( 6:15pm): Amaranth (Chauli leave) juice can eliminate ill effects of poisonous drugs. And purify the blood. 2. Grain Food (6:30): same as lunch. 3. After Dinner (6:40): chew ajwan & ginger after meal. 6. Bed Time (9:30pm): (minimum 3 hours after dinner-No reading, eating, watching TV in bed. )Take 1 tsp triphala powder (hirda, baheda , amla) with luke warm water or 1 tsp of haritaki powder or 1 apple at bed time. Thereafter patient may gradually adopt a well balance low protein vegetarian diet. Further short juice fasts followed by a week on the restricted diet should be taken at intervals of 2 or 3 months until kidney conditions has normalized. Coriander, tomato, lahsan, ,phoolgobi, palak , cabbage, Banana, papaya, Chikoo, Peach, cherry, limbu, Kairi. Cold drink like coco- cola, Maza, Fanta, Soda etc. Canned or bottle juice because of benzoic acid and sulphuric acid content. Tobacco, Smoking, alcohol, stress and tension etc. Fresh juice of white gourd, Pineapple juice should not be taken on empty stomach, but after an hour of meal. Bathua ka saag, parval vegetable. Take Grapes daily 250 grams in morning & evening. Vegetables: All vegetables contain potassium. They are grouped according to their potassium content. You should consume vegetable having lower potassium content. Radish – pink (mooli), Cucumber (kakadi), Snake gourd (parval), Bottle gourd (lauki), Green Mango, and Beet root. Cabbage (band Gobi) , Onion , bitter gourd (karela) ,Cauliflower ( Phul Gobi), Pumpkin (kaddu) , Carrots(gajar) ,radish – white (mooli), brinjal (baigan ) , ladies finger (bhindi) ,and green tomatoes. Coriander ( dhaniya), sweet potato, spinach (palak ) and green papaya. Group II and group III vegetables after “leaching” then off with potassium. · Socking cut vegetable in luke warm water for 2-3 hours. · Adding large volume of fresh water and cooking vegetables. · Bring the peeled and cut vegetables to boil in a large quantity of water. Note: After kidney start functioning normally. Take tender coconut water, coriander leave, mint leave, fruit like orange. Apply methi leave paste on swelling part or kalonji seed paste reduces the swelling. If you feel this article is helpful please share it if you need any assistance please contact us or leave a comment. Upon Arising(6am): Soak over night 2 dry figs (Anjeer) in 1 small cup water. Take this soaked water and soaked figs the very first thing in the morning. Break fast (7am): An apple, grape or orange and 2 almond or barley kheer. nch(11:30 am) : Chew a piece of ginger before an hour of meal , found helpful in digestion. Soup or boiled veg( 12: 15pm): 1 bowl of decoction of seam vegetable (wal papdy ) beneficial where albumin contain is very high. One should take only the skin of vegetable not there seeds. Or chauli (amaranth ) leave soup or barely soup or carrot soup or mix. Veg. soup or lauki soup . Grain Food( 12:30 ): 1 or 2 jawari chappati without ghee . Sit quietly for 5 minutes after eating. Pineaaple juice(1:45Pm ):stimulate the activity of kidneys and help to remove the toxic elements and waste produce from the body. After ½ hr(3:00pm): soaked few methi seeds early morning and take this soaked seeds with luke warm water after half an hour of meal. Early Evening(4pm): A glass of beet and carrot juice mixed 50: 50 basis. Add half glass of boiled water, shake well and drink slowly sip by sip .Do not add salt and spices. Drink as early as you extract the juice. Before ½ hr of Dinner(05: 30 pm): Chew a piece of ginger before an hour of meal, found helpful in digestion. Grain Food(6:30): same as lunch. After Dinner (6:40): chew ajwan & ginger after meal. Bed Time (9:30pm): (minimum 3 hours after dinner-No reading, eating, watching TV in bed. )Take 1 tsp triphala powder (hirda, baheda ,amla) with luke warm water or 1 tsp of haritaki powder or 1 apple at bed time. Coriander, tomato, lahsan, ,phoolgobi, palak , cabbage, Banana, papaya,Chikoo, Peach, cherry, limbu,Kairi. Vegetables:All vegetables contain potassium. They are grouped according to their potassium content. You should consume vegetable having lower potassium content. Socking cut vegetable in luke warm water for 2-3 hours. Adding large volume of fresh water and cooking vegetables. Bring the peeled and cut vegetables to boil in a large quantity of water. Note:After kidney start functioning normally. Take tender coconut water, coriander leave, mint leave, fruit like orange.